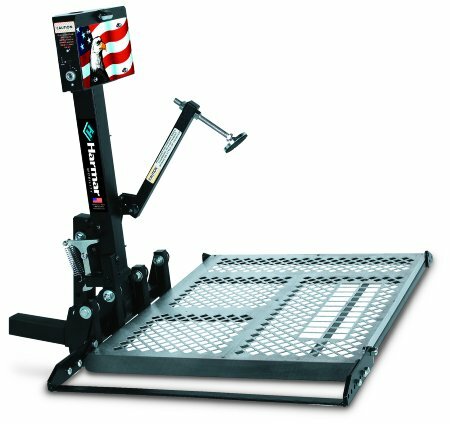 Hitch Height (range) 5" to 19"
The Auto Lift 100 is the most versatile lift on the market today and one of the easiest to operate. Just drive the scooter onto the wide platform of the Auto Lift I, flip the switch and the Auto Lift 100 raises the scooter and secures it to the platform of the lift automatically. 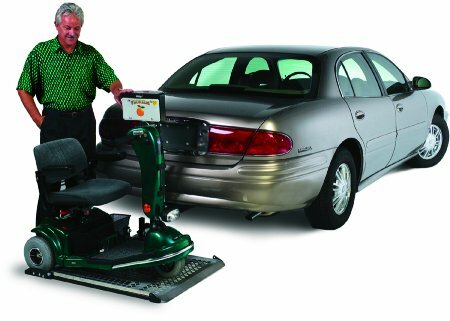 This lift will work with a class 2 or 3 hitch on your vehicle and is also available with a swing away option that allows you to access your trunk or hatch by swinging the lift to the side when the scooter is not on it. The Auto Lift 100 folds up vertically when it is not carrying the scooter and has a perforated aluminum deck which greatly reduces wind resistance and allows for maximum visibility when driving with the lift in the upright position. Wide platform...no narrow runners that you must guide your scooter onto. Shipped virtually fully assembled with everything you need for installation, including detailed installation manual and wire harness. 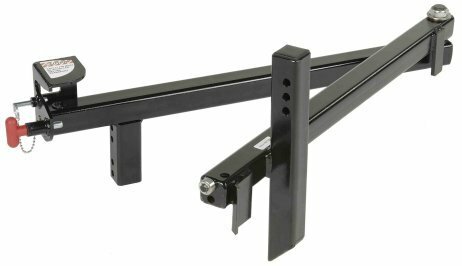 Attaches easily to standard class 2 or 3 trailer hitch. Please specify your hitch type when ordering. Lift Folds up electrically, vertically against the back of the vehicle when scooter is not loaded.